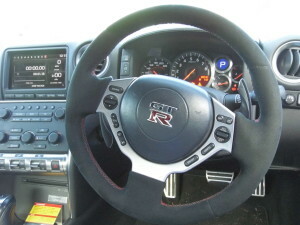 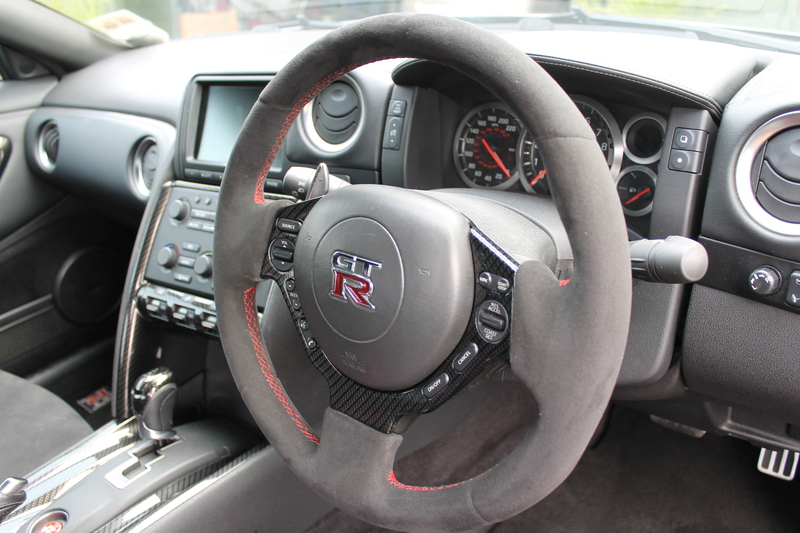 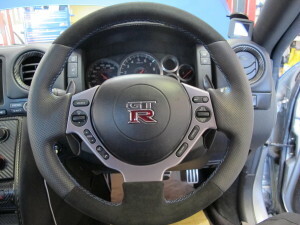 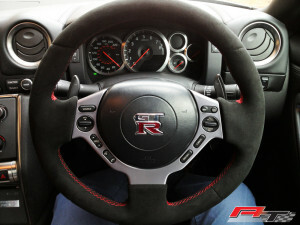 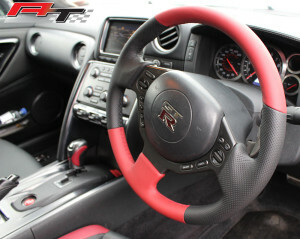 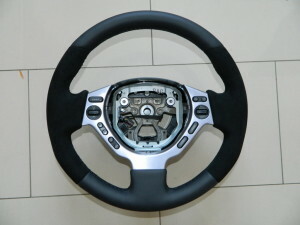 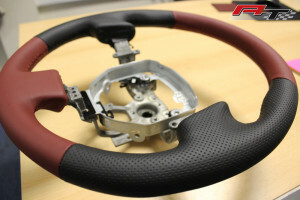 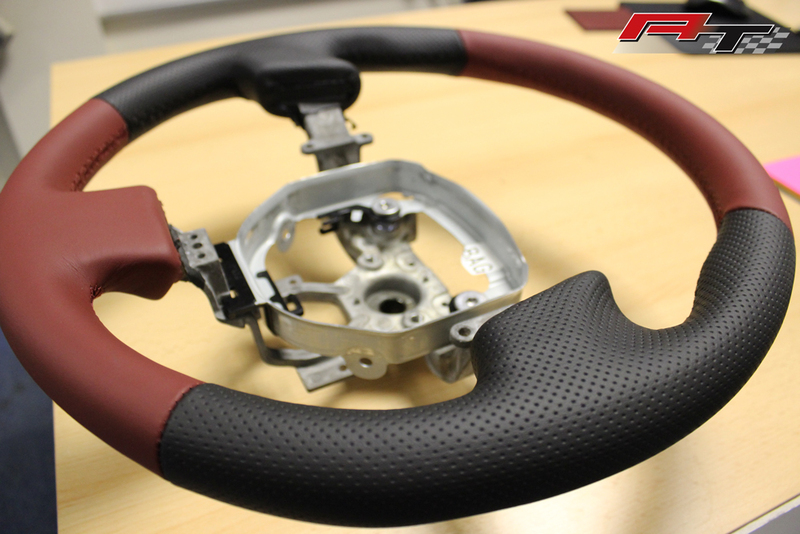 We can professionally re-trim plastic or old looking leather steering wheels to the highest quality standards. 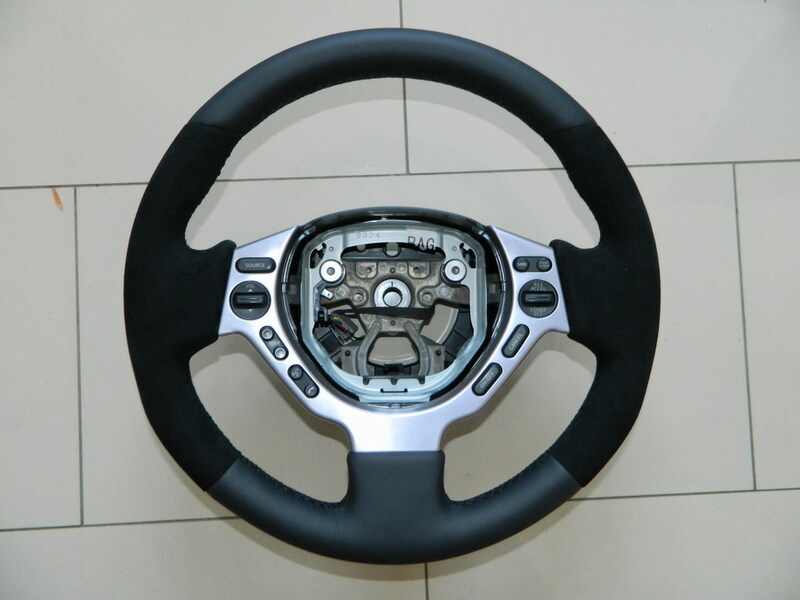 We use the the best quality materials (automotive leather & alcantara) and are able to make steering wheels in OEM style as well as we do custom orders . 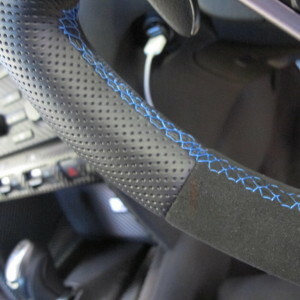 If you would like to add some exclusive look to your car and improve driving comfort or your steering wheel has gone worn please get in touch with us. Removal and fitting service offered at £35. 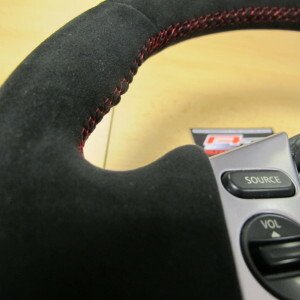 We can customise the wheels to your desired combination of materials and colours, even going to the extent of colour choice on the stitching and centre band. Email us for any enquiries or questions.